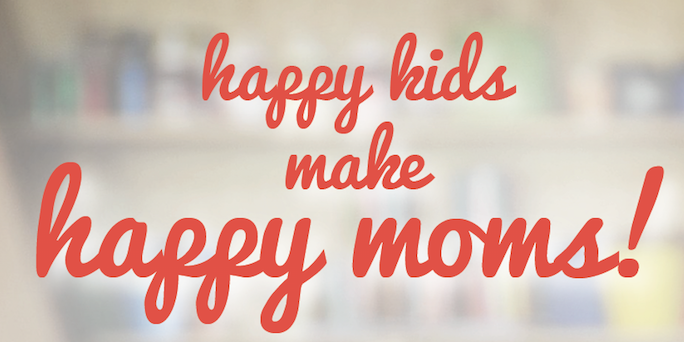 Because we know how important it is for mothers to sometimes disconnect, be it for just an hour or two, we have partnered with ORIGAMI academy during the month of March. 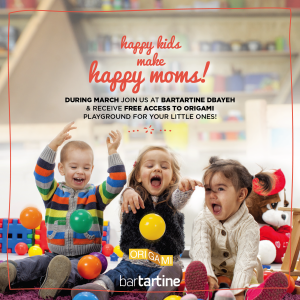 Every mother dining at bartartine Dbayeh throughout March will enjoy a complimentary day pass for her kids, to our favorite neighbor kids playground “ORIGAMI academy”. Little ones from 1 to 16 will enjoy an array of activities such as arts and crafts, origami, clay, board games, indoor soft play area, outdoor playground, bungee trampoline, just to name a few.